India is known for its timeless traditions and culturally rich heritage which echoes through the walls of all its glorious monuments and in the stomachs of its guests who crave more and more of the food, warmth and love. 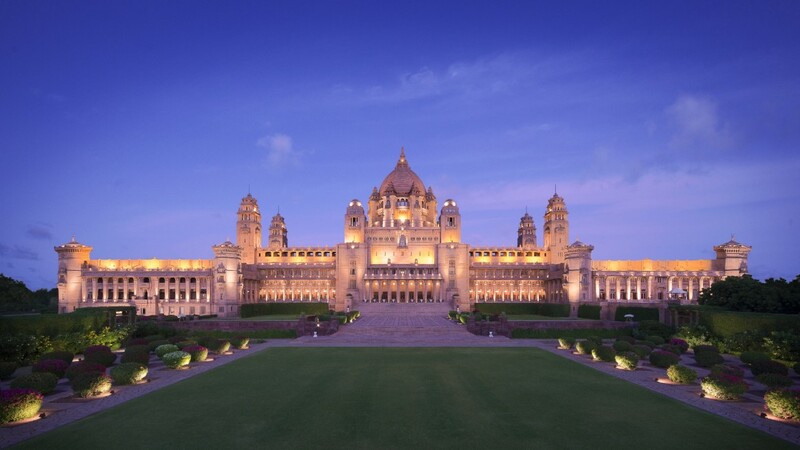 Today, all of these things are gracefully woven into one royal experience provided by the Umaid Bhawan Palace in Jodhpur, India. This majestic structure was built between 1928 and 1943 for Maharaja Umaid Singh of Jodhpur as a way of providing employment to his subjects in times of drought and famine. 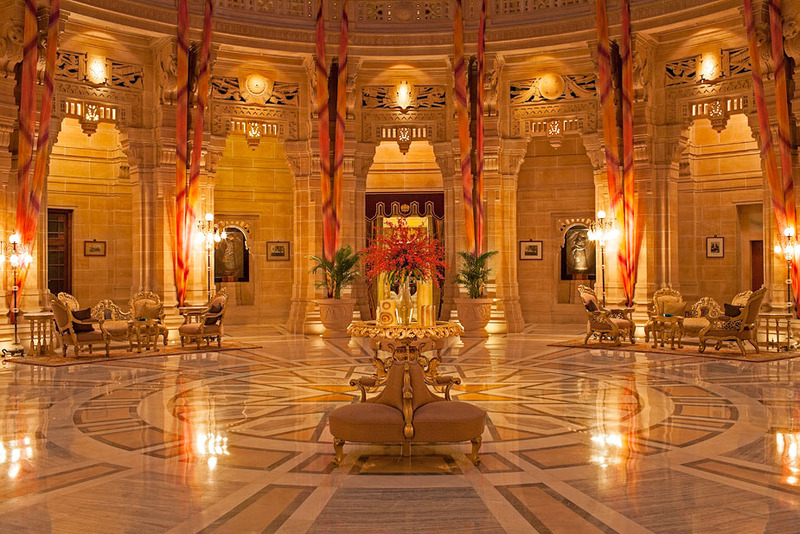 Today this royal palace is not only the world’s largest private residence but is also claimed the number one spot on TripAdvisor’s Traveller Choice List for best hotels. The golden-hued sandstone castle rests in Jodhpur in the otherwise chalky blue state of Rajasthan. 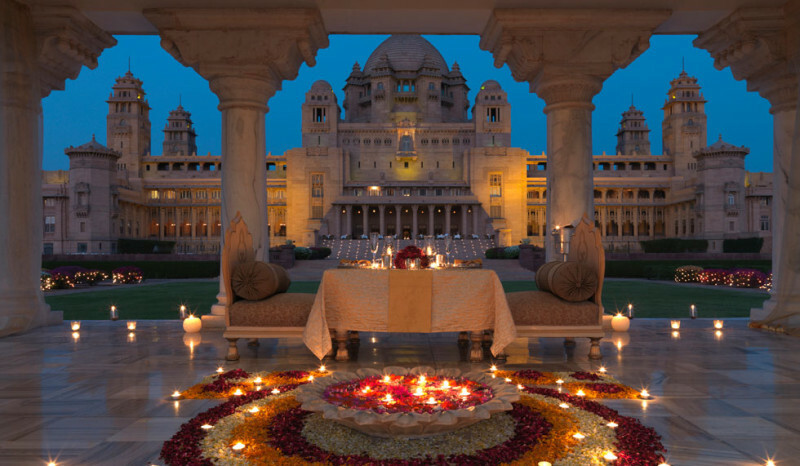 It was designed by renowned Edwardian architect Henry Lanchester on the grandest scale incorporating the artisan of the east and the west with a 105 Renaissance inspired dome and towers telling the tales of the Rajput era. 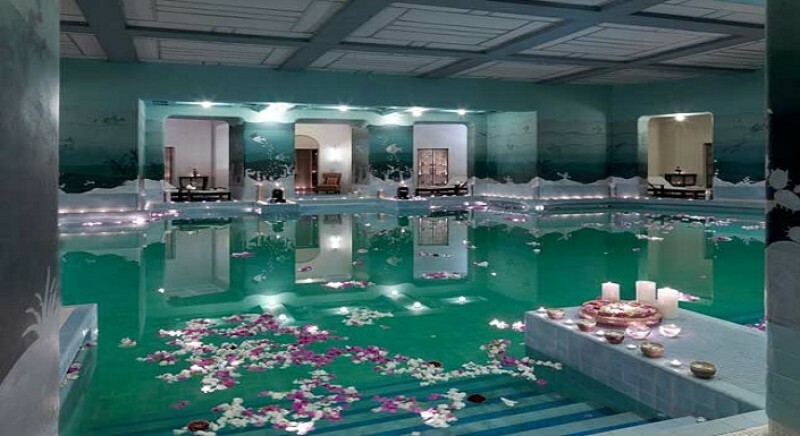 The hotel part of this regal heritage property is run by Taj group of hotels and the other palatial half belongs to the current-owner-former-king Maharaja Gaj Singh. Guests have access to the rest of the palace, including indoor and outdoor swimming pools, a spa and marbled-squash courts. The gorgeous art-deco palace is nestled between 26 acres of lush green gardens with 64 out of 347 total rooms and suites open for its high-society guests. 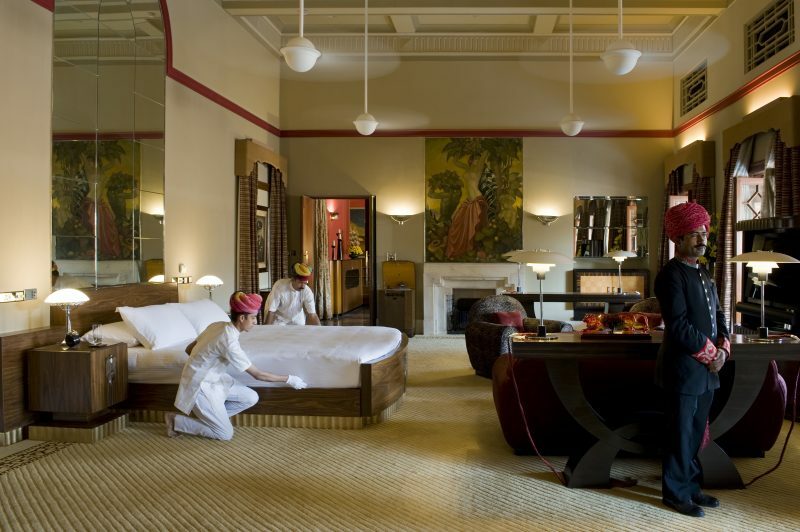 Each room is complete with lavish vintage furnishings and artifacts from all over the world. 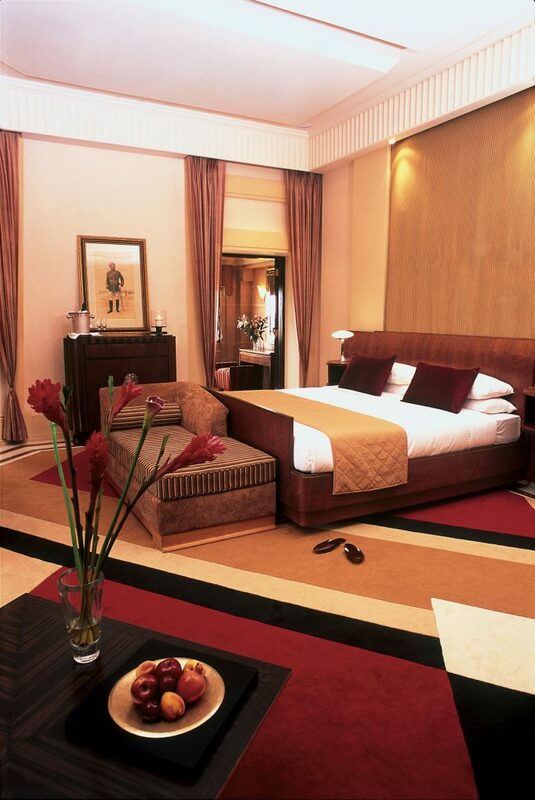 The grandest suite of them all is the Maharaja suite costing around $1500 per night. It is also a popular destination wedding venue. 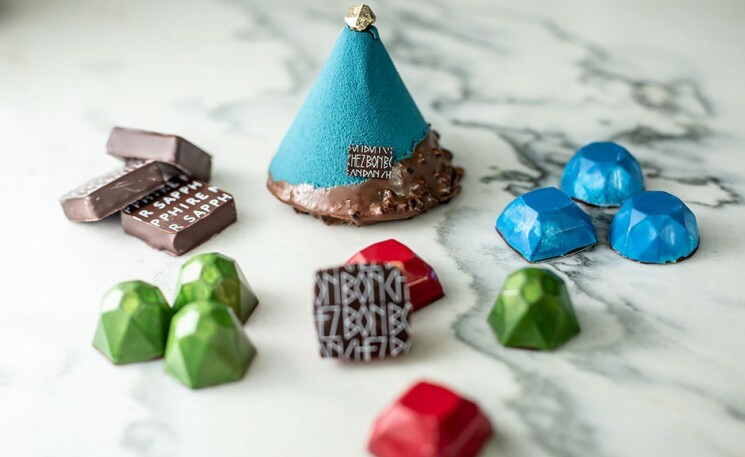 Julie Cassetina, the spokesperson for TripAdvisor, said “These properties are providing more than just a bed for travelers, they have gone above and beyond to deliver a memorable experience for their guests which makes all the difference” to CNN. So escape into the golden age of the royal families, eternal tales of love and war, historic architecture, Indian cuisine because you deserve nothing short than a kingly retreat!